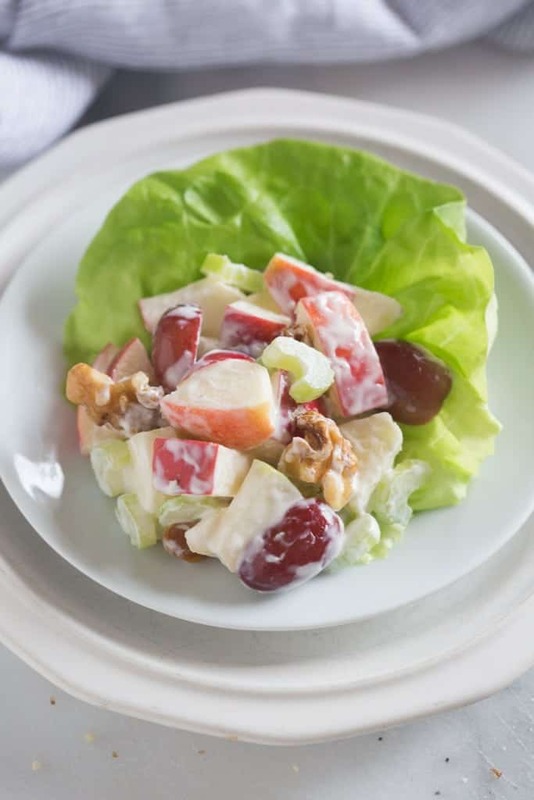 A traditional Waldorf Salad with crisp apples, grapes, celery and walnuts in a creamy dressing. Waldorf Salad is one of those classic recipes I’ve been wanting to share here for a while. It’s especially popular during the holidays as a side dish at Thanksgiving or Christmas dinner. 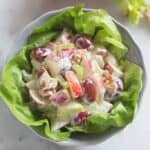 There are tons of different versions of Waldorf Salad, but most usually include apples, celery, grapes and nuts in a mayonnaise based dressing. 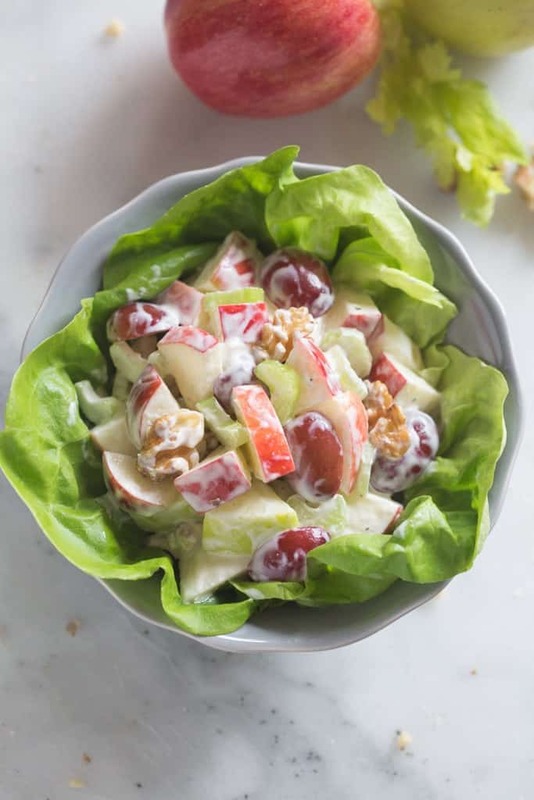 My favorite Waldorf Salad also includes golden raisins and I add a little more flavor to the dressing. I’m not a huge fan of mayo-only dressing on anything. The little pinch of vinegar and sugar added to the dressing gives the entire salad the extra punch of flavor it needs. In a separate bowl stir together the mayonnaise, sugar, red wine vinegar and pepper. Taste and adjust to your liking with a little extra mayonnaise or more vinegar. Coat apple mixture in desired amount of dressing (you may not want to use it all). Refrigerate until ready to serve. Serve cold, on top of bib lettuce or large lettuce leaf.